Tag Archive for "adele" | Ryan Seacrest - The official entertainment news site of American Idol host and American Top 40 on air radio personality! Take out your tissue box and watch Adele’s clip for her upcoming music video! 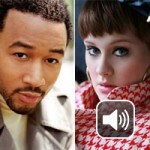 Find out why Adele send a touching e-mail to the Glee star! Adele’s latest single gets banned from a Dublin music store! 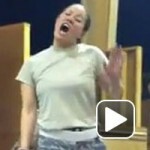 A group of army officers perform an unbelievably incredible version of Adele’s “Rollin’ in the Deep.” Watch it here! Which of your favorite artists take home the infamous Astronaut Man Award? 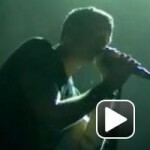 Linkin Park covers an Adele’s song, but in an unexpected way! Click here to listen! In a new interview from her YouTube channel, Britney also reveals what celebrity she herself has been starstruck to meet. After spending weeks on top of international album charts, both Britney Spears and British singing sensation Adele are poised to have two of the highest-selling albums of 2011. The single, currently number 11 on iTunes, has been covered by another Grammy winner — John Legend who allows his emotions to burst with a stripped-down version of the song.